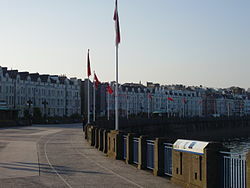 Douglas (Manx: Doolish) is the caipital an lairgest toun o the Isle o Man, wi a population o 26,218 fowk (2006). It is located at the mouth o the River Douglas, an a sweeping bay o twa miles. The River Douglas forms part o the toun's harbour an main commercial port. 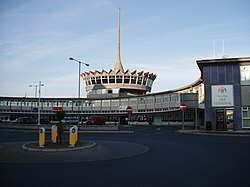 Douglas is home to the Hie Courts an the Isle o Man Govrenment.